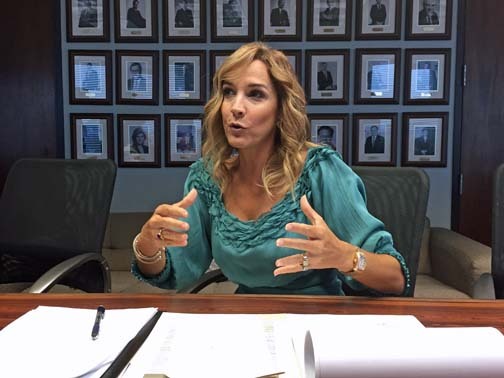 Puerto Rico Bankers Association Executive Director Zoimé Álvarez-Rubio. The Puerto Rico Bankers Association will host on Aug. 18 a free seminar targeting nonprofit and community organizations from the western area in which experts will discuss a range of topics, including financial and tax-related, the trade group announced. The event, entitled “Corporate figures that promote social goals,” will be held from 1 p.m. to 5 p.m. at the University of Puerto Rico Mayagüez Campus’ School of Business Administration. The trade group will team up with the Certified Public Accountants to offer the workshops. The seminar is part of the ongoing activities the Bankers host throughout the year as part of its commitment to educate, train and inform on financial issues in the communities the banking industry serves. “We urge the leaders of community organizations and nonprofit entities in the western region to participate in this free seminar we have prepared, aimed at providing valuable information for the management of their organizations,” said Zoimé Álvarez-Rubio, executive vice president of the Bankers Association. “It will also be an excellent opportunity to clarify doubts or questions they may have about financial, tax, or personal aspects directly with experts in the field,” she said. Participants are urged to register in advance through www.abpr.com/actividades. Hey Buddy!, I found this information for you: "Bankers Assoc. hosts talk on tax issues for nonprofits". Here is the website link: https://newsismybusiness.com/bankers-issues-nonprofits/. Thank you.